Our start came more than 30 years ago, focusing on voluntary benefit communications and administrative services. During the mid-1990’s, as technology developed and our clients’ challenges changed, our services expanded to meet the growing need for effective benefit communication services. Rising healthcare costs, new HRIS systems, increased employee contributions towards benefits plans, the advent of consumer-driven health plans, wellness plans and employers’ focus on attracting and retaining quality personnel created the need for more personalized benefit communication services and insurance products to supplement employer-paid coverages. 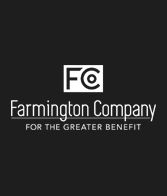 In 1980, Farmington was founded with its mission providing supplemental benefits to employees while relieving employers of any additional administrative burdens inherent with such offerings. Today, we administer and service over 1,100 employers nationally. Healthcare is rapidly evolving. We strive to be a rock in the storm, a preferred partner for our clients to help them successfully deliver voluntary benefits and communication. And always, work for the greater benefit. We’re a national provider of benefits communication and voluntary benefits administration. We serve our employees, customers and community, and play an essential role to all by providing a broad array of benefits communications and voluntary benefits. 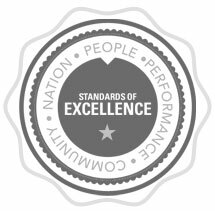 We aim to raise the level of accountability, transparency, and effectiveness of our entire organization to foster excellence and inspire trust wherever we do business. We embrace fundamental values such as honesty, integrity, fairness, respect and trust that characterize ethical conduct and accountability. We feel that following these principles make for a Greater Experience and Greater Benefit to all whom we work with now and in the future. Doug has a 20-year background in voluntary benefits, including experience on the carrier side. During his tenure at The Farmington Companies, he has served in various roles and currently leads the efforts of six Regional Marketing Directors and oversees the company’s marketing communications. Doug’s expertise in the industry is often requested for speaking engagements at ASHHRA, AHA and insurance industry events. He is a graduate of Boston College with a B.A. in Economics and Sociology. Chris has over 22 years of experience in financial and business systems with a focus on system automation. During his 19 year career at The Farmington Company, he has led the development of the current financial and commissions accounting systems. He is responsible for financial operations and oversees the Corporate and Commission Accounting teams. Additionally, Chris is also oversees the Information Systems and Information Technology teams. He holds B.S. degree in Accounting from Central Connecticut State University.